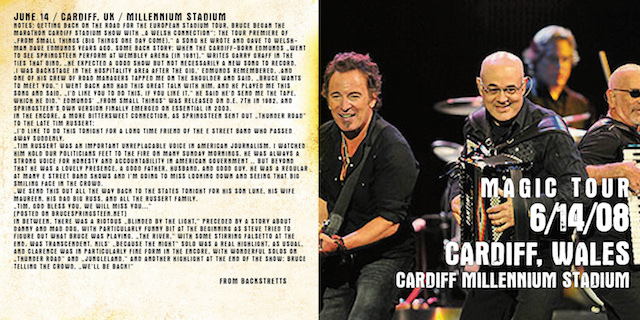 Bruce Springsteen and the E-Street Band played in Cardiff during the Magic Tour. From Small Things (Big Things One Day Come) !! 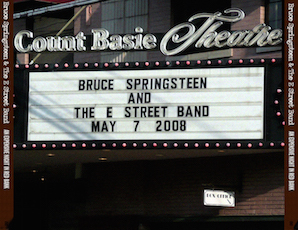 Bruce Springsteen and the E-Street Band played a benefit concert for the renovation of the Count Basie Theatre in Red Bank. 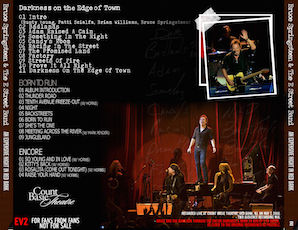 Darkness On The Edge Of Town and Born To Run have been played for entire. Great video from the Magic Tour. 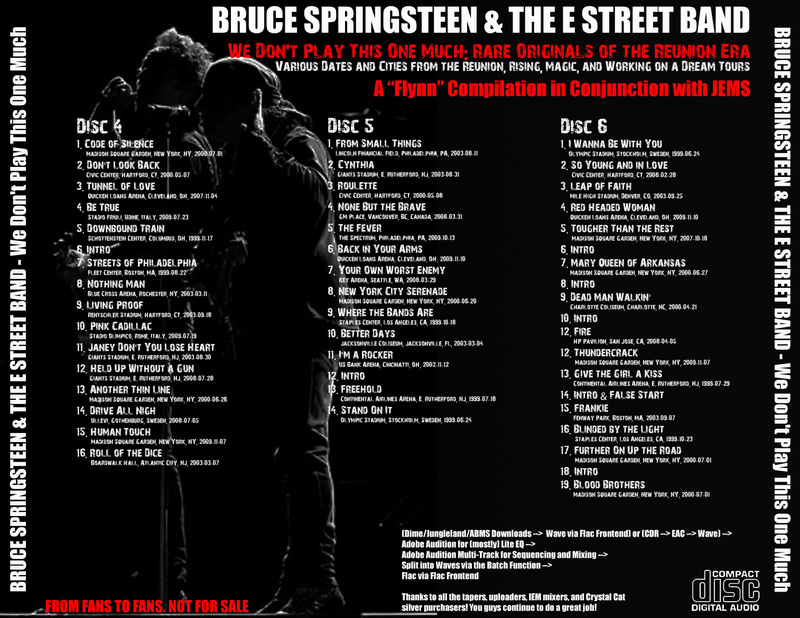 La compilation a marchio Flynn è composta da 6 bootleg audio con tutte le rarità suonate da Bruce Springsteen e la E-Street Band dal 1999 al 2009. Sono stati esclusi i tour di Devils & Dust (2005) e quello con la Seeger Sessions Band (2006). 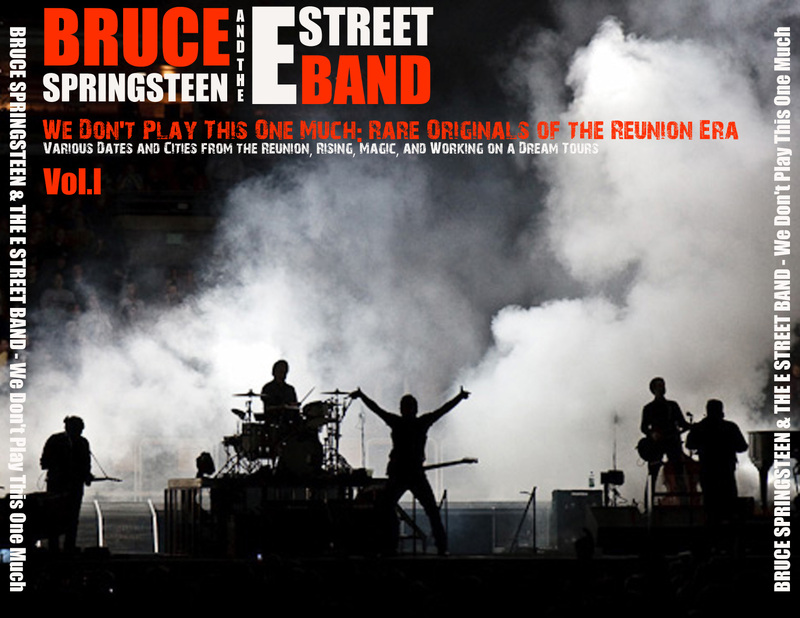 There are many things to love about the ten years of touring Bruce and the band did since reuniting on stage in 1999, but high on the list is the staggering amount of material assailed. 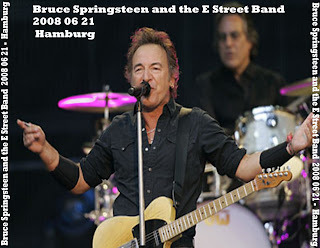 By the end of the WOAD tour, Springsteen had tackled some 280 songs, a number boosted considerably by the sign requests of the last two tours, especially given how many of those yielded one-off covers. 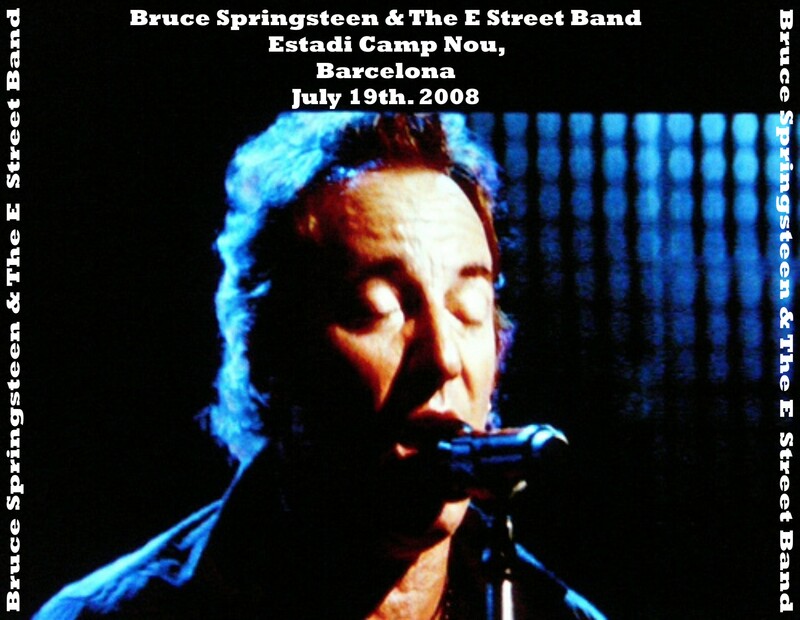 But even more compelling than live versions of other peoples songs are airings of little-performed material from Bruce ís own canon. It ís easy to forget that the 1999 tour was mounted in support of Tracks and rarities from the box did work their way into setlists to varying degrees, especially early on when such uber obscurities as Car Wash î and ìBrothers Under the Bridgesî received their first and, to date, last airings. 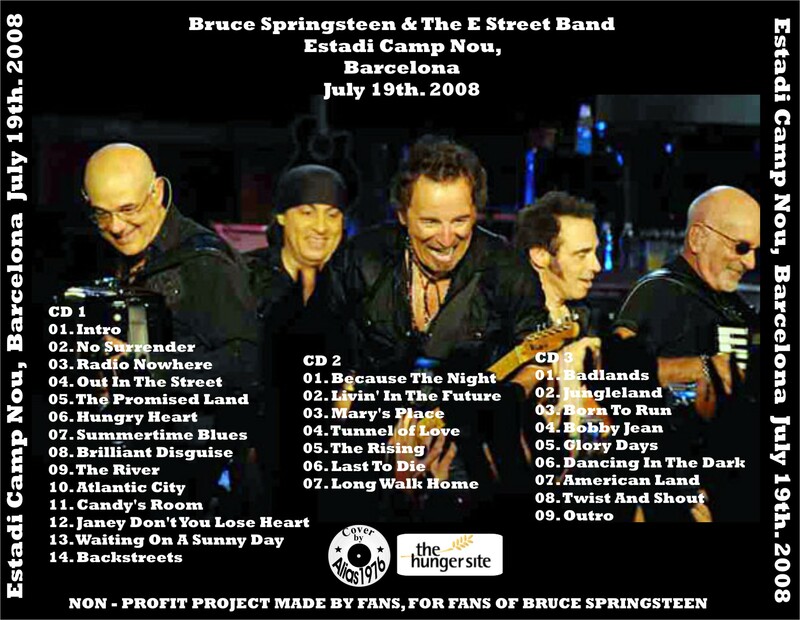 Fast-forward to the end of the 2009 WOAD tour in Buffalo, and again Bruce pulls out first/only readings of several songs including the stunning River outtake (included on Tracks) ìRestless Nights.î Steve might have been right all these years year, indeed. Those words provide the title to our comprehensive 6-CD anthology. “We Don’t Play This One Much” gathers ten years of rarities from the once-played to the infrequently-played, all in one place. This set is all about the songs you haven’t heard that often and haven’t grown tired of, culled to create a listening experience that should be quite refreshing to anyone who has listened primarily to complete shows from any of the four tours. 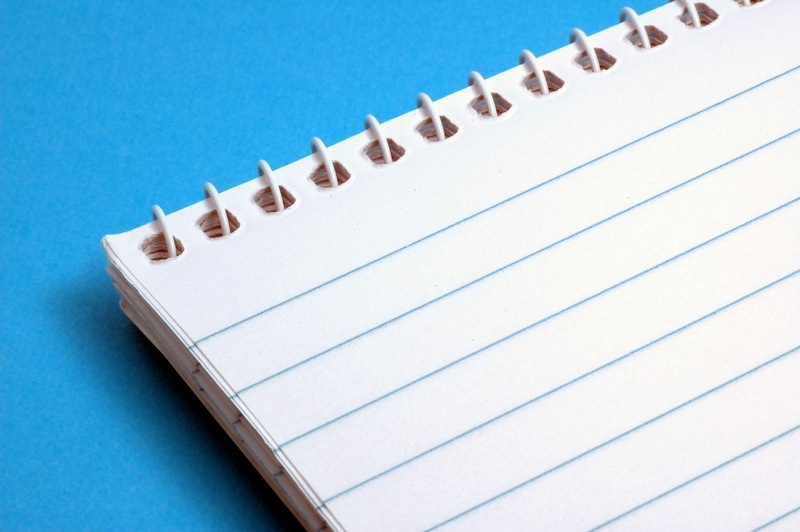 You may wonder where we drew the line. 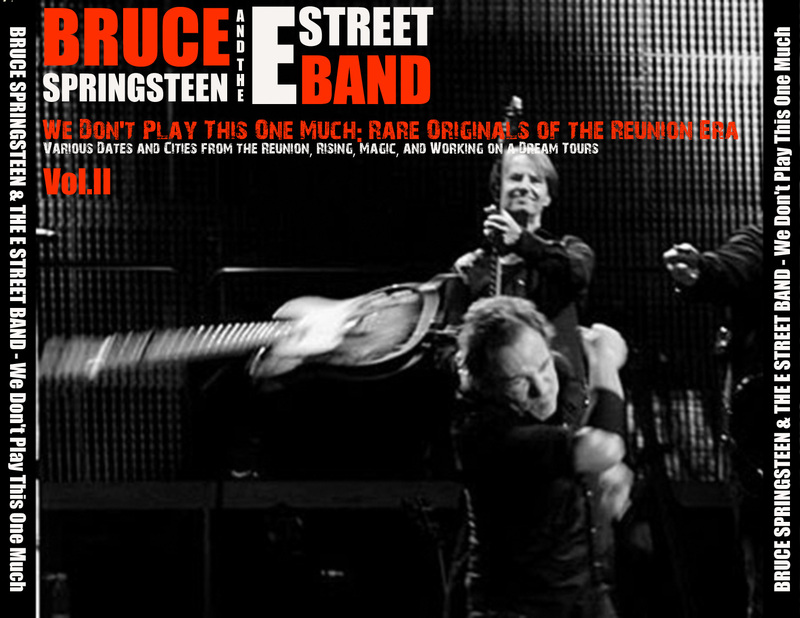 The answer is somewhere around a dozen performances, any more than that and the song didn’t feel so rare any more, with just a couple of exceptions that felt like they would have been conspicuous by their absence given the other material included (like ìCode of Silence.î) We’ve also included songs performed slightly more but new to the Springsteen live canon over the course of the decade. Come tutti i precedenti anche questo è un ottimo lavoro, ottimo. 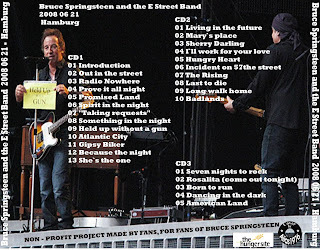 Bootleg audio della penultima data europea del Magic tour. Uno dei migliori DVD della serata lo potete trovare a questo link (post che dovrò aggiornare ed integrare). Che sorpresa Sandy quella sera! Dato che questa e la prossima settimana immagino sarete tutti in ferie ecco una selezione dei post del 2008 per chi resta. 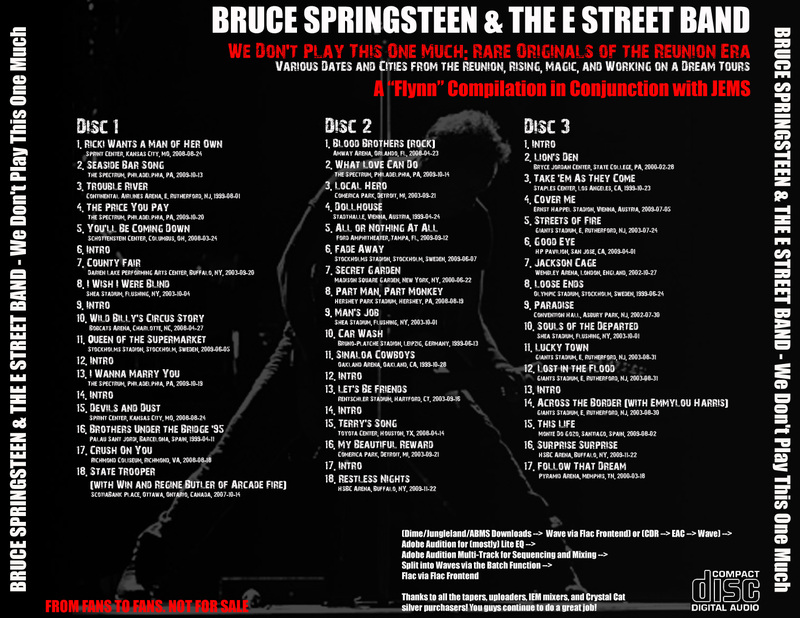 Che piuù esattamente si potrebbe definire una selezione di bootleg di Springsteen. Appuntamento alla prossima settimana per una selezione di post del 2009. Bootleg di buona qualità del concerto di Springsteen a Dublino il 21 giugno 2008 durante il tour di Magic. Imperdibile per Held up without a gun e per Incident. Piaciuto il post? Perchè non ti iscrivi alla ricezione dei post per email?